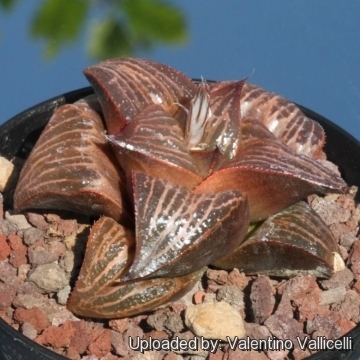 Description: Haworthia cv. 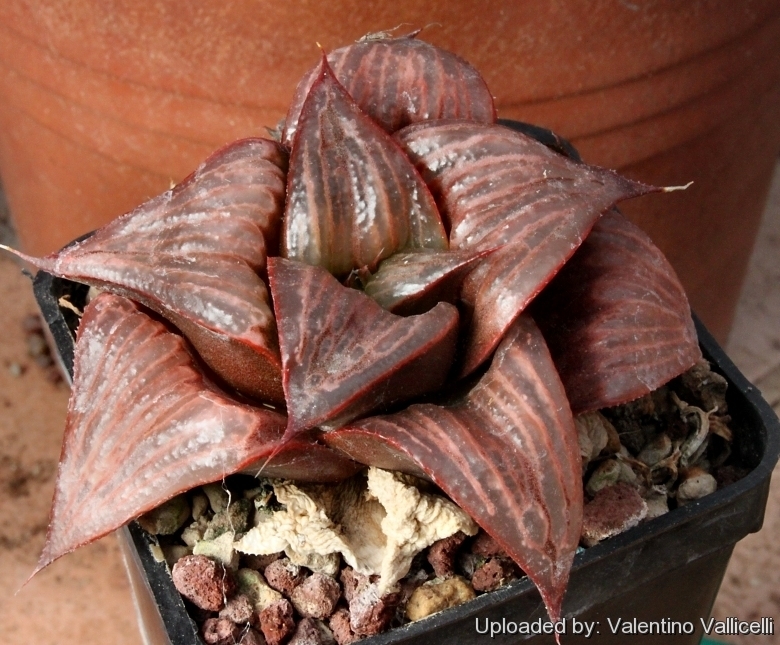 Jaffa is one of best Haworthia hybrid obtained by Joyce L. Cocozza. 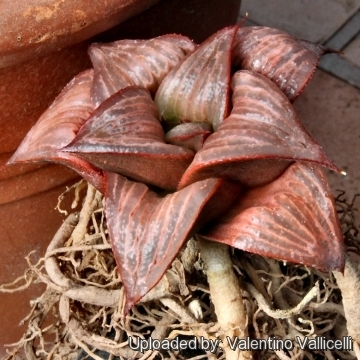 It comes from a cross involving Haworthia mirabilis var. 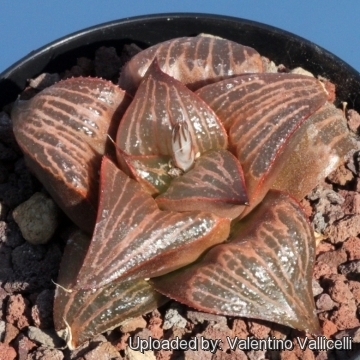 badia CC 468 x Haworthia dekenahii var. argenteomaculosa (TJ)). CCO 241 one of four plants from 41 seeds sown 09/05/1992. This stunning clone was established in June 2006 Haworthiad Volume 20, Issue 2. Exposition: The plant needs light shade to shade, but will take full sun part of the day. (with some sun exposure the leaf develops a nice reddish tint and remains compact). 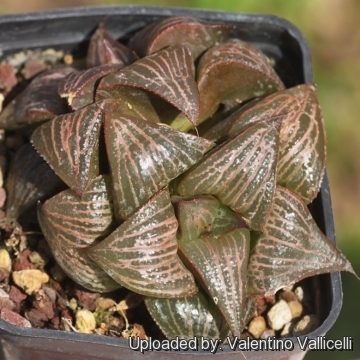 Propagation: Haworthia are easily propagated by the removal of offshoots or by leaf cuttings in spring or summer. To propagate by leaf cuttings, remove a leaf and let it lie for about one month, giving the wound time to heal. Then lay the leaf on its side with the basal part buried in the soil. This leaf should root within a month or two, and small plants will form at the leaf base. They can also be grown from seed.